Lynn Garth Garner was born to the proud parents of Lynn Garner Sr. (Peanut) and Ella Corrine Dunn on December 2, 1942. Lynn succumbed to lung cancer upon being treated by wonderful nurses and staff for several weeks at Bayshore Residence Center in Duluth, Minnesota. Thank you for the excellent care. Mr. Garner was a journeyman plumber by trade who honored his craft in some of the biggest commercial building sites in downtown Portland, Oregon. He was a member of Morning Star Missionary Baptist Church and a brilliant game strategist… He loved all types of board games, cards and his favorite was dominoes. Lynn leaves behind two sons; Lynn F. Garner of Plano, Texas, Garth J. Garner of Tigard, Oregon; stepdaughter Lisa L. Haroldson of Lincoln City, Oregon; six grandchildren, Ashley, Deangelo, Kyra, Desiree, Mikel and Chance; His siblings, brother Roy Lee Ward, two Sisters ~ Paulette Sahir and Bobbie Woodard; a host of nieces and nephews, great nieces and nephews, he was always referred to as ‘Uncle Lynn’. 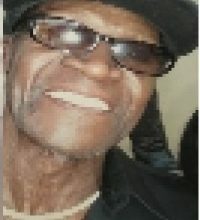 Lynn is preceded in death by; his parents; two brothers, Roy T. Morrison, and James ‘Bobo’ Franklin. Fun Fact ~ Lynn was an outstanding basketball player who made it to the final cut with the Los Angeles Lakers whose backcourt consisted of Mr. NBA logo himself -Jerry West-. Not many can say they played with /or against that legend.